LONDON, UK, 2017-Dec-04 — /Travel PR News/ — Qantas welcomes customers into the new spacious Qantas London Lounge at Heathrow Airport today, as the airline counts down to its non-stop 787 Dreamliner flights between London and Australia. 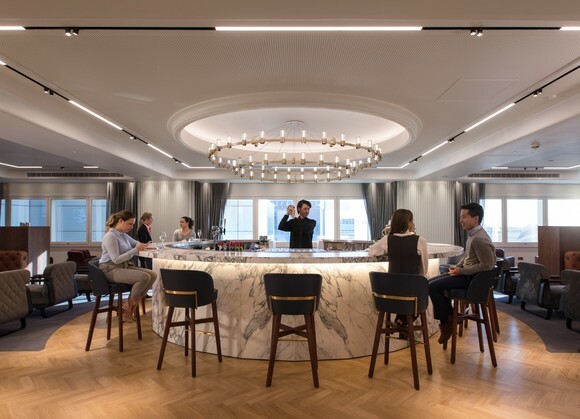 Qantas has spent the past 12 months building a dedicated lounge at Heathrow as part of a multi-million dollar investment for customers on its existing London services as well as the landmark London – Perth route starting on 25 March 2018. “The Kangaroo Route is at the heart of Qantas’ identity and London is one of our most important destinations,” said Mr Joyce. The new range of Noritake crockery by David Caon and a collection of tea cups and saucers by Miranda Kerr for Royal Albert. From 25 March 2018, Qantas will operate double-daily services from London to Sydney, Melbourne, and Brisbane via Singapore or Perth, a daily direct service from London to Perth and new one-stop connections via Perth to a number of destinations in Australia including Adelaide. Emirates offers daily services to Australia via Dubai. Qantas also recently announced a major cabin upgrade on its fleet of 12 Airbus A380s. Located at Heathrow Terminal 3, the Qantas London Lounge is open daily from 8am – 8:30pm to Qantas customers travelling in First and Business and Qantas Platinum One, Platinum and Gold Qantas Frequent Flyers and their guests. It is also open to eligible oneworld Emerald and Sapphire customers, Emirates Skywards Platinum and Gold customers and Qantas Club members and their guests. This entry was posted in Airlines, Airports, Flights, Travel, Travel Services, Travelers and tagged heathrow airport, Neil Perry, Qantas London Lounge. Bookmark the permalink.